Whether you are a first-time home- buyer or a seasoned veteran, we will help you feel comfortable with your new purchase. That is why we invite you to join us at your inspection. questions and address any special concerns you may have. answer your questions on site. We will also point out helpful maintenance tips to keep your new home in top shape. And we will also review your inspection report with you at your new home, giving you peace of mind so you can move forward in the home-buying process with confidence. And, of course, we are always available by telephone and email to review any special questions you may have after the inspection is completed. This is especially helpful if you are unable to attend your inspection. 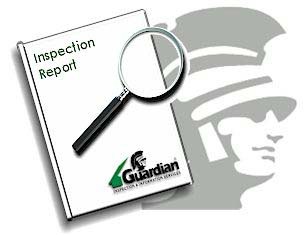 Whether you are present at your inspection or not, your inspector is always ready to help. To learn more about what our clients have to say about our service.